The physician assistant role provides needed support that allows specialized doctors to focus on detailed care and treatment. By taking care of issues associated with organizing medical histories, performing basic reviews and examinations, directing basic treatments as gatekeeper functions, these assistants help make the medical healthcare system more efficient than it otherwise would be. Physician assistants will most often be found in general hospitals as well as urban-area clinics. They can also work in non-hospital medical facilities as well as government positions as well. The physician assistant is definitively focused on primary care and first-response with general medicine. While some may engage in a specialty area, most are the first patient screening level that the general population often sees for non-trauma first inspections and treatment. Like most occupations, the physician assistant earning capacity will vary based on geographic location, population density, choice of workplace, and specialization. The general average of all factors combined, according to the U.S. Bureau of Labor Statistics, shows physician asistant earning a mean income of $44.45 per hour and $92,460 per year. The highest earners reach as much as $60 per hour and $124,770 per year. The highest-earning positions also tend to be in specialty hospitals, employment services, physician offices, general surgical and medical hospitals, and outpatient care centers, in that order of highest to lowest. After the highest ranks federal government positions then come in as the next best-paying positions for the career path. When it comes to the highest paid locations, the best salaries are in highly urban regions, no surprise. New York ($96,200), California ($101,880), Texas ($99,040), and North Carolina ($91,060) have the highest paid career locations for physician assistants. 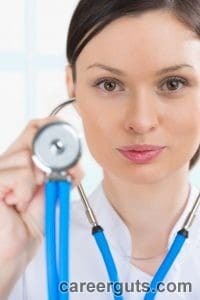 Since physician assistants always work under the purview of a full doctor physician their performance evaluation by that doctor has a huge influence on success and career advancement. Physician assistants often perform many of the screening tasks, helping a physician focus time on issue/problem identification versus surveying and screening. Where it’s doable, an assistant will also prescribe pharmaceuticals and medicine to patients as well. 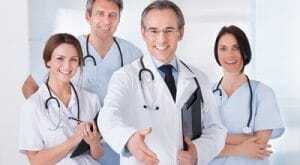 All physician assistants have to have graduated from an accredited physician assistant program. Most such programs are offered only by heavy-hitting medical schools. However, there are some programs offered by other schools. After education certification, a physician assistant still has to go through real-time training to be a proven asset for a medical facility. This includes an extensive and long clinical training process which is a prerequisite to licensing. The program is similar to a regular doctor’s internship and residency prior to full physician status and board certification. Additionally, a physician assistant can expect to renew licensing through examination every few years. The time period varies by state, but it is repetitive. Physician assistants can often specialize into other medical areas as well once their general training is complete. This includes specializing in emergency and trauma medicine, orthopedics, OB/GYN, critical care, neurology, and surgery. With 83,640 physical assistants working nationwide as of mid-2012, the market is fairly stable with first line doctors serving the public. Given the education process and extensive training involved, this is a good situation since growth is estimated through 2020 to only be 1.6 percent total. Physician assistants will continue to be a front line medical response to the majority of needs of people. They allow doctors to stretch their resources and see more patients in the same amount of time. As a result, the role and career will continue to be needed without any significant drawback. Those considering the career and just starting can expect to see continued, stable demand through 2020. Next What is HVAC Certification?